Search has never been more important. As the information age progresses, and we're buried under more data, ﬁnding what you need quickly is essential. Microsoft knows all about this and has its own search engine, Bing, which has been working through many generations of Windows to improve and enhance desktop search capabilities. With Windows 10, the company has gone one better. Not only is desktop search faster, but it's enhanced by Cortana – technology that has made the transition from the Windows Phone 8 platform. 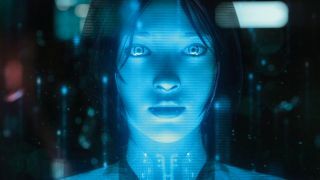 Cortana is a digital personal assistant, named after – and inspired by – the virtual helper from Microsoft's Halo games. Cortana understands natural language, accepts voice commands, and can do so much more than ﬁnding a ﬁle or web page, as you'll soon discover. But ﬁrst, where to ﬁnd it? Cortana is integrated into Windows 10's search facility; by default, you'll ﬁnd a search box on the left-hand side of your taskbar, next to the Start button. If it's not there, you can reactivate it from your taskbar's properties window. Also make sure you have a microphone plugged in, or that you've conﬁgured your laptop's mic, as Cortana comes into its own when you say what you want rather than typing it. The ﬁrst time you click Windows 10's search box, you'll be given a little guide to Cortana's features – scroll through it if you like, then click 'I'm in' to get started. This does mean giving Cortana access to a lot of information – contacts, emails, search history and the like. There's not an awful lot you can do about this aspect, but think of Cortana in terms of it being your personal secretary; if you had a secretary in business, they'd be pretty useless without the appropriate access. Click 'I agree' to ﬁnalise your decision to use Cortana – you can switch it off later, and if you don't wish to give up your information you can always use the search box to ﬁnd your stuﬀ in the traditional way. Next you'll be given the option to leave Cortana listening for the key phrase 'Hey Cortana' at all times. It's up to you if you want to switch this feature on or not; it's smart, but it makes some people a bit nervous. You can still activate Cortana by clicking the microphone icon, or typing in the search box. Tell Cortana your name or nickname – you could be puerile here, but bear in mind that Cortana will repeat it back to you – and click 'Use that'. If you haven't signed in with a Microsoft account, you'll need to do so now.